The first step in using RootsFinder's DNA Tools is to Create Your DNA Profile and specify that you which DNA source you will be using. RootsFinder doesn't process raw DNA data. We use spreadsheets created from your DNA data. 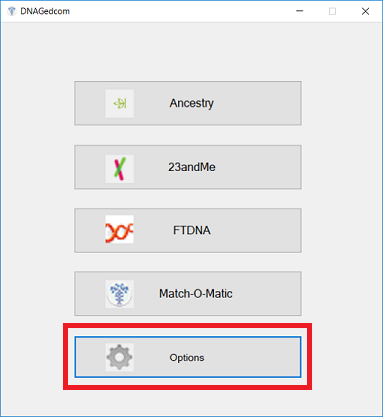 You will need to import your raw data to GEDmatch, or use DNAgedcom which reads the reports created by Ancestry, 23andMe, FamilyTreeeDNA and MyHeritage to create your spreadsheets. After you have created a Profile, you copy and paste those spreadsheets into RootsFinder. Click here to get DNA Gedcom. Register for an account. Once you have registered at DNA Gedcom you will get an email with a download link. Download the application and launch it. 1. 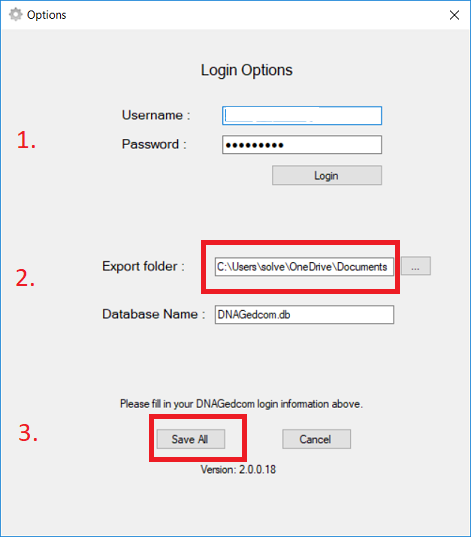 Log into DNA Gedcom. 2. Select a file folder for your DNA data.